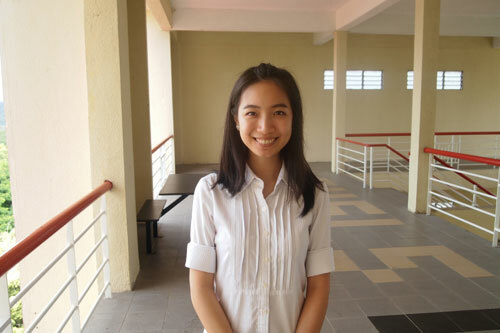 Thrilled with her success, despite having to compete against experienced presenters from universities around the region, Hao Hing, a final year BSc (Hons) Quantity Surveying student of INTI International University, attributed her success to her lecturers who had empowered her to take up the challenge and guided her in her preparations. “I am indebted to my lecturers at INTI who not only provided the means for me to be part of the conference but also supported and motivated me as I drafted my research paper and rehearsed for the presentation. As a newcomer to the conference, I was up against many seasoned presenters, and this makes my success all the more meaningful,” Hao Hing said. In her paper, Hao Hing argued that there is a huge room for improvement when it comes to implementing IT in quantity surveying, and that there are many opportunities and challenges that may arise from this measure. “At INTI, we want our students’ learning experience to be enriching and one that will empower them with the right skills and attributes to excel at whatever they do, wherever they go. Through her participation in the surveying conference, Hao Hing has experienced the world in a different way, made her own discoveries and is on track to realising her full potential,” said Yeaw Win Shyang, Head of Quantity Surveying programmes at INTI International University. Held this year at Universiti Malaya, the conference is the largest and oldest conference for undergraduate surveyors in East Asia, and a collaboration between the Royal Institution of Chartered Surveyors (RICS) UK, the Royal Institution of Surveyors Malaysia (RISM) and the Association of Approved Land Surveyors Malaysia (AALSM). It provided a platform for 400 final year surveying undergraduate students who are taking the RICS-accredited courses in Malaysia, Thailand, Hong Kong, China and other Asian countries to exchange their visions and views.